Why are you buying your food from a tobacco company? A challenging question from Adbusters. Find their web site and more on Larry's Interesting Links. Anna turns nine with her friends and begins to contemplate teenagehood already. Well, I think that these sites are interesting. but I just cannot delete them . . . yet. is taking on a larger and larger life. Click here and take a look. I think you will be impressed even if your name is not Boynton! Click here to read some Boynton stories written by Anne to help Anna appreciate her travels in England. Discovery is three blocks from our apartment building. 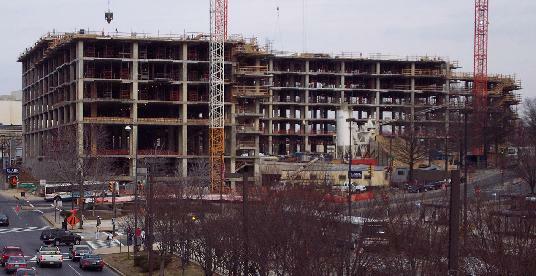 Construction below on 1/29/02.